The IT infrastructure at ZLC is fully virtualized. "We run various applications in VMware VMs, including Microsoft Exchange, data servers, printing servers, and some holding specialized simulation software," said Guillermo Ochoa, IT Manager at ZLC. "Initially, we had the benefits of virtualization, but not data protection or disaster recovery for VMware. I don't even want to think what would have happened if we lost our main storage array without having a backup of the VMs." The IT team at ZLC set out to investigate the best VMware data protection approaches and quickly came to the conclusion that virtualization-specific software is the answer. "Data and disaster recovery is reduced to a minimum with image-based VM backups, it can save us months of work," said Guillermo. "Otherwise, to recover a single lost server, we would need to build it from the ground up and then recover a normal file-based backup." The team started evaluating available data protection solutions for VMware environments, paying attention to usability, performance, reliability, support, and recovery speed. Initial lab testing revealed that NAKIVO's solution meets the key needs of ZLC: NAKIVO Backup & Replication is built for VMware, purely agentless, and can be installed on Windows, Linux, or deployed as a virtual appliance. Guillermo summarized his impressions as: "The NAKIVO web UI is handy, the backup is fast and small, and the support is great." The ability to rapidly recover entire VMware VMs was the top priority for the team, so they appreciated the Flash VM Boot feature the most. "With NAKIVO we can run VMs right from compressed and deduplicated backups," said Guillermo. "Instead of waiting for hours for a backup to recover, we can create a NAKIVO Flash VM Boot job, push the Run button, and the VM will start booting after a few seconds." After completing the evaluations, ZLC decided to stay with NAKIVO Backup & Replication. "We selected NAKIVO because of the price-performance ratio and the support provided," said Guillermo. "The main competitors are hugely overpriced, especially for SMBs, while NAKIVO is bringing VM backups to everyone and not just the biggest companies." NAKIVO Backup & Replication is now protecting all VMware VMs at ZLC. The projected disaster recovery downtime is reduced from hours to minutes. "We see NAKIVO VM backup as a life vest: it is best if you don't need it but when you do, you are very glad you have it," said Guillermo. "If our VMware infrastructure decides to fail, I know that NAKIVO we'll be able to recover our mission-critical VMs within minutes. This makes me sleep easier." To accomplish its mission ZLC partnered with the MIT Center for Transportation and Logistics to form the MIT-Zaragoza International Logistics Program, a unique model of collaboration between industry, government, and academia. This successful partnership led to the creation of the MIT Global SCALE Network that now spans four continents. 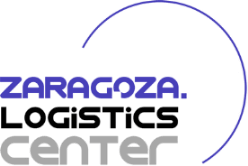 In addition, Zaragoza Logistics Center participates in several national and international research and educational initiatives. For more information, visit www.zlc.edu.es.